Three and a half years ago, I sat on a porch, sipping tea, when a seed of an idea planted itself in my head. Friends, I had no idea, no idea where this would lead. Is that not the way of our God? To plant a tiny seed of an idea, then to provide and enable and grow it beyond what your own small mind could have ever imagined? Today and tomorrow we are celebrating the 2nd birthday of Velvet Ashes. Two years since the launch of this place. 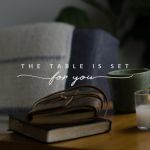 I knew what it was to be a weary woman on foreign soil, hungry to connect with other women who understood the life I lived. Turns out I was not alone. By the summer of 2013, a rag-tag group of us had committed to being the core group to make this dream happen. None of us were big name bloggers or big name anything. None of us knew what we were doing. We simply felt a need and had a dream. We knew we needed to hire someone who did know something about building a website. How about a TCK, member care trainer who happens to be one of the most sought-after web designers around? Uh… yes, please? Audaciously, our tiny tribe set out to raise $5,400 in 30 days. The wonder of how the money came stole our breath away. But is that not the way of our God? Velvet Ash Tree – a tree that can thrive in a variety of environments and extreme conditions, including the desert. A variety of environments and extreme conditions? Does that not sound like our lives? 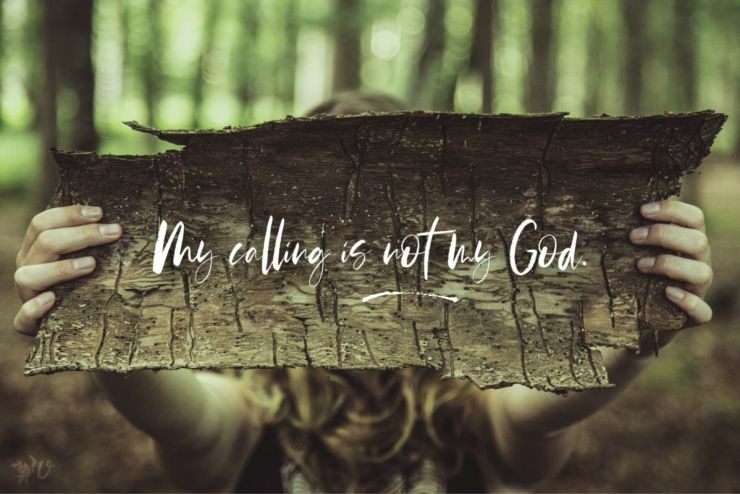 Our longing to thrive in the midst of it all? The name brought to mind the image of Him who exchanges beauty for our ashes. We fell more in love with the name when we learned that the tree bears unique leaf scars that form in the places where leaves have fallen away. Like the tree, it’s our scars that become what is uniquely beautiful about us. And the shape of the Velvet Ash tree’s scars? It’s the shape of a smile, reminding us that there is joy always. Short-lived and plagued with problems – does that not sound like overseas workers?? Gracious. Anyone else blinking back tears? To give a metaphor and grow it’s richness for us over time? 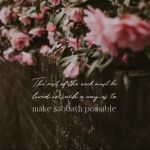 That is the essence of what Velvet Ashes has become, a place of tender care, a place for women in all corners of the world to come alongside each other and whisper the tender care of our Savior. 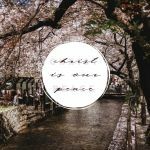 We’re here to walk with one another through the pruning of life, through loss and pain. 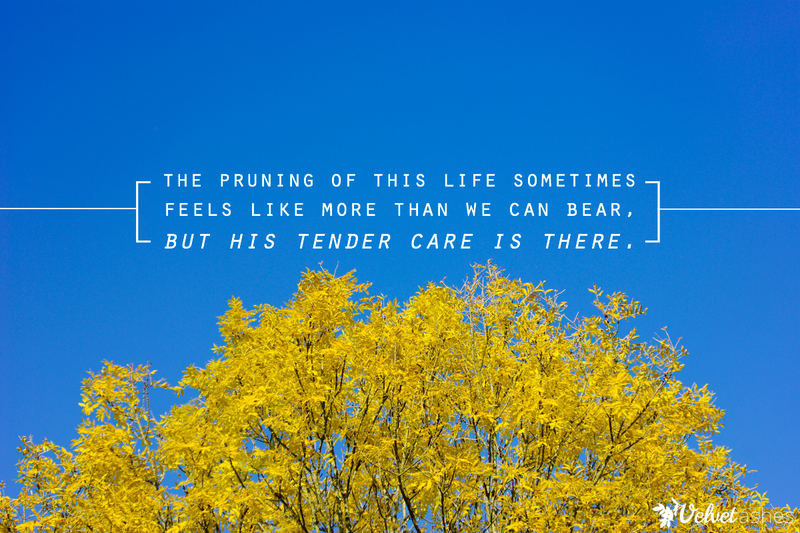 Without tender care and pruning, our souls stagnant and wither. We begin to believe the voice that tells us we’re trash. We can’t hack it. We’ve got nothing to offer. To that lie we together say, “no.” Ash is not trash. It is the richness of soil from which new life springs. Our weakness is God’s power made perfect. 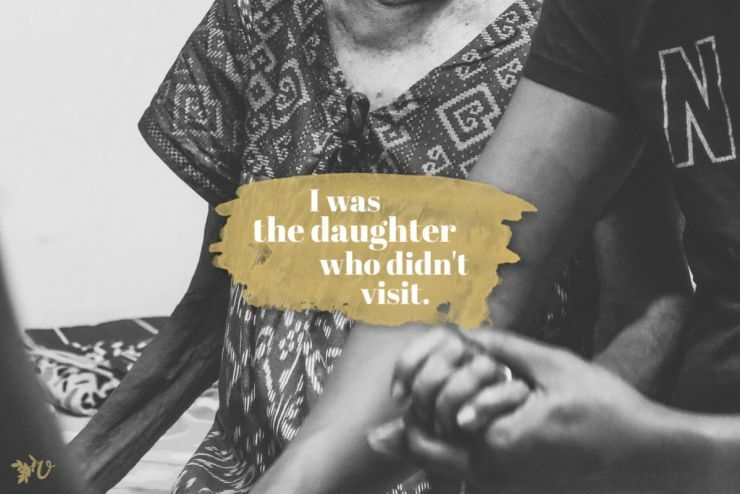 Our brokenness and struggles and hopes offered up in this community reach nearly 3,000 people across the globe daily. 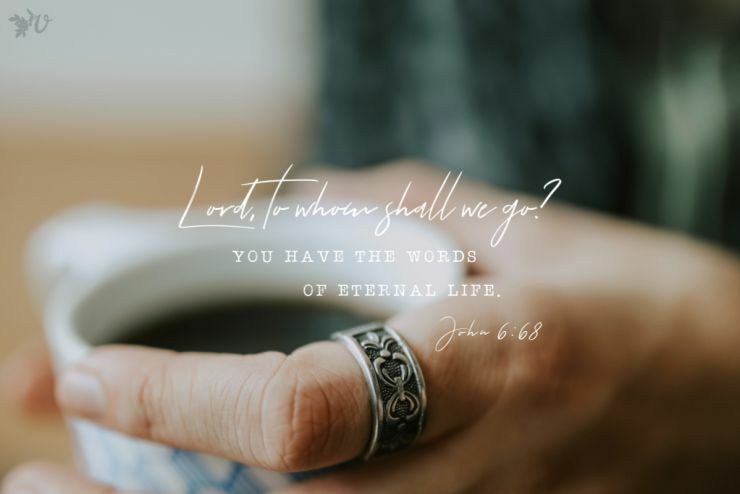 One hundred fifty-five souls are nurtured weekly in 27 Connection Groups across 58 countries. Seven hundred weary hearts found renewal in a personal online retreat that came right to their 92 different countries. As stated in Christianity Today, Velvet Ashes is part of shifting the tide, breaking the complexes and pedestals that have plagued overseas work for generations. Like I said, I had no idea, no idea that God would bring together this incredible choir of voices, the beauty of every generation, every stage of life, women with their own giftedness and God stories to sing. To tenderly care for his people through his people? He is crazy in love with each of his daughters. And Velvet Ashes is a gift he has crafted for those who have ever left home or country in a desire to serve him, with hopes of bringing relief to the hurting and truth to the thirsty. The pruning of this life sometimes feels like more than we can bear, but his tender care is there, this sisterhood is here. On our birthday, we’re looking back and celebrating all that God has done. Would you celebrate with us? Tomorrow at The Grove we’re inviting you to come share and share how Jesus has met you through this community. Plus, we’ve got some big, audacious news to share with you tomorrow, and a free gift. So be sure to join us, friends. How is your soul feeling today? Are you in a season of thriving, providing shade to those in the desert? What has been the key to thriving for you? Or are you feeling withered, fighting the voice that tells you you’re trash? We invite you to share with us in the comments. You’ve got a sisterhood here to give some of the Savior’s tender care. That’s why we exist. I can’t count the number of times I have been blessed, challenged, comforted, and encouraged through this online community! Thank you, Danielle and the entire VA leadership team, for taking an idea, planting it by faith, nurturing it, and then sharing its fruits with all of us. Thank you, thank you for allowing God to use you in this way to bless multitudes! Happy 2nd Birthday, and I look forward to what God has planned in the future for Velvet Ashes! Thanks for your sweet words, Ruthie! Love you, love your heart and vision, love the way you’ve grown this community through the power and movement of our Father! Thanks, Lauren. You know what a team effort this is, and you’re such an invaluable part of the team! I am so thrilled at how God has used Velvet Ashes, broadened my view of His kingdom, and brought so many of you amazing people into my life! I love a party! Let’s celebrate!! Amy, I recently looked up that email I sent you back in Dec 2012, that first step in this whole journey. I was struck by how the idea I described to you was so much smaller than what we have become. It’s been quite a ride, eh? beautiful! I’d wondered about the name! Yeah, we realized that although it’s central to who we are, we haven’t talked about the tree much! Love the way you’ve jumped in to the community here, Jenilee. Thanks for the way you’ve opened your journey to us and blessed many. Thanks for letting me be a part! I love what Velvet Ashes is doing and thankful for the community it continually offers! Love, love, love this! And a shout out to my Connection Group gals who have given me yet another picture of love and understanding, even though we literally span the globe. Loved this post, Danielle! So thankful for your vision for Velvet Ashes and for what an impact so many I’ve met through Velvet Ashes have had on my life! I am grateful you guys pursued this. So grateful. Happy Birthday! Thanks for sharing the story of the velvet ash tree. I’ve been blessed by Velvet Ashes, and I’ve heard many other women say the same thing.